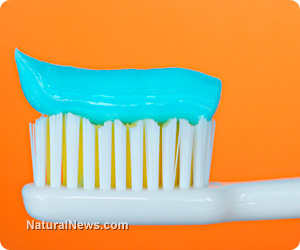 (NaturalNews) It is added to hundreds of consumer products ranging from hand soaps and body washes to toothpastes and even children's toys, but it has never received formal safety approval from the U.S. Food and Drug Administration (FDA). And even though the chemical industry claims that the antibacterial chemical triclosan is safe and effective, there is simply no substantial evidence to prove this, and plenty of evidence to show that triclosan is dangerous. But the crux of the issue is that triclosan was never actually approved for consumer use under the law as it should have been, despite the fact that the chemical has now been in widespread use for more than three decades. The FDA's own website explains that there is no evidence showing triclosan is any better than simple soap and water at eradicating bacteria, and yet many conventional hand soaps on the market today contain it anyway. "In 1978, the FDA published its first tentative guidelines for chemicals used in liquid hand soaps and washes," explains a recent Associated Press (AP) article on the issue. "The draft stated that triclosan was 'not generally recognized as safe and effective,' because regulators could not find enough scientific research demonstrating its safety and effectiveness." This draft, however, was never actually finalized. And neither were any of the other drafts the FDA crafted in subsequent years. Only in 1997 did the FDA eventually grant approval for triclosan's use in a consumer product, but it was strictly for Colgate Total toothpaste in 1997. As far as all the other products triclosan is currently added to, the FDA has never approved such uses, nor has it affirmed that the chemical is safe or effective in such products. "Triclosan and triclocarbon are antibacterial chemicals commonly added to consumer products ... (and) they have been shown to disrupt hormones and can encourage the growth of drug-resistant bacteria or 'superbugs,'" explains NRDC in its chemical index. "Animal studies have shown both of these chemicals can interfere with hormones critical for normal development and function of the brain and reproductive systems ... (and) triclosan has been associated with lower levels of thyroid hormone and testosterone, which could result in altered behavior, learning disabilities, or infertility."